Intense ruby red, the wine’s bouquet clearly indicates the relationship with its “big brothers”, Barbaresco and Barolo; full-bodied, structured, with firm yet pleasing tannins, its ideal expression is with food, which it matches beautifully as an all-around meal wine. 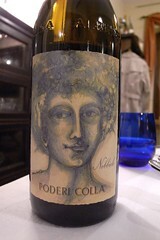 Particularly fine to accompany pasta with gravy or meat sauce, as well as meat-based main courses. Best served at 15/17° C., in a fairly ample glass in order to let the wine breathe properly.